The 2018 ACEC-SK Awards of Distinction event celebrates the achievements of it's Saskatchewan Consulting Engineering / Geoscience industry members. Our sponsors are recognized as key supporters of the consulting engineering / geoscience industry. Sponsors are also recognized in promotional materials and a media package. Explore how you can participate as a sponsor of the industry's premier social event of the year! 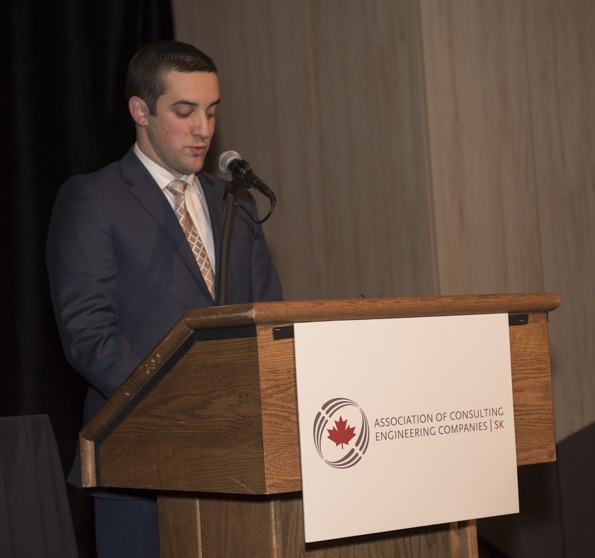 The 2015 ACEC-SK Awards of Distinction event celebrates the achievements of it's Saskatchewan Consulting Engineering / Geoscience industry members. Our sponsors are recognized as key supporters of the consulting engineering / geoscience industry by the more than 200 anticipated guests, including industry leaders and government officials. Sponsors are also recognized in promotional materials and a media package.